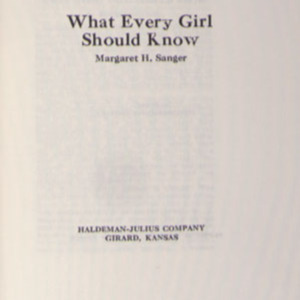 University of Virginia Library Online Exhibits | "What Every Girl Should Know." Sanger, Margaret. "What Every Girl Should Know." Sanger, Margaret. “"What Every Girl Should Know." 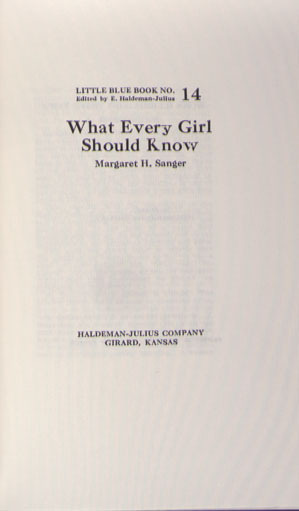 Sanger, Margaret.,” University of Virginia Library Online Exhibits, accessed April 20, 2019, https://explore.lib.virginia.edu/items/show/583.